The challenge of today lies in the accomplishment of sustainable and low-energy buildings, which can combine at the same time the thermal insulation properties with healthy, comfortable, accessible and safe indoor environment. Reduction of the energy demand through the use of insulating materials still remains a challenge for European architects and building designers as well as materials producers. Beside good and consistent thermal and acoustic performance overtime, a good and marketable insulation material should in fact be self-extinguishing, not degradable, unshrinkable or non-settling, safe during handling and installation, low cost and should not pollute the indoor building environment, while having a low embodied energy, proven through LCA assessment. BRIMEE project aims to combine the development of better performing insulation materials for improving buildings energy performance and having as final overall objective a significant reduction of buildings operational energy, in combination with the capability not to emit harmful substances and to act as an absorber for indoor pollutants. 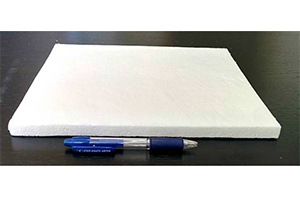 Our innovation is based on a Nano-Cristalline Cellulose (NCC) based foam, strengthened with Natural derived resin, providing self extinguishing features. An enzimatic approach and protein fusion to the Cellulose basis is exploited to confer to the material additional functionalities from the bulk, such as fragrance release, water repellence or anti-bacteria. Thanks to an advanced processing, the NCC material can be profitably extracted from the waste streams of the pulp and paper industry. BRIMEE product family is applicable for the envelope and interior partitions of both new and existing buildings, though most of the impact and the largest market is represented by buildings built before 1975 and requiring retrofitting. This is the initial market to be penetrated in line with EU priorities and recent action plans and directives.